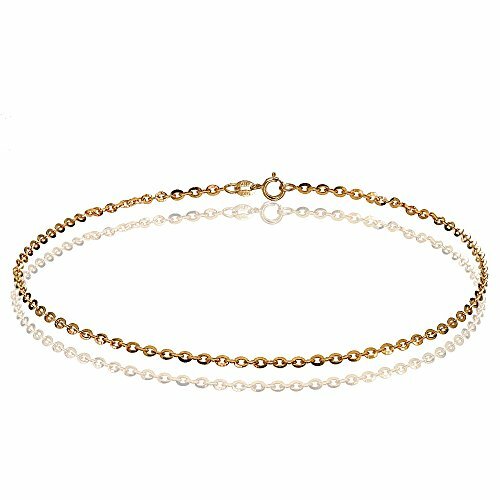 This Italian anklet features a diamond-cut cable design in 14k rose gold, 1.4mm wide. It is 9-inches long and secured by a spring ring clasp. FREE GIFT POUCH INCLUDED - Purchase includes a beautiful 'Bria Lou' branded gift pouch which will make an outstanding gift for her the women you love, wife, mom, girlfriend, daughter, sister on any occasion holiday or event, wedding day, mothers day, valentines day, birthday, anniversary, engagement etc. If you have any questions about this product by Bria Lou, contact us by completing and submitting the form below. If you are looking for a specif part number, please include it with your message.